The Philadelphia Phillies’ Frank “Red” Donahue threw a no-hitter against the Boston Beaneaters, 118 years ago today. 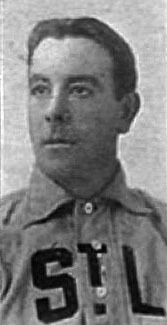 Donahue, who lost a league leading 35 games for the St. Louis (NL) Browns in 1897, was traded to the Philadelphia Phillies after the season. On Friday, July 8, 1898, he no-hit the 1897 NL pennant winners at National League Park. Donahue issued two walks and the Phillies committed one error. The Beaneaters eventually adopted the name of the Braves, moving to Milwaukee and then Atlanta.